Georgia State University will name its football field at Georgia State Stadium in honor of Parker H. "Pete" Petit, chairman and chief executive officer of MiMedx Group, successful entrepreneur and long-time supporter of the university, who has made a $10 million gift to the university to support the Athletics program. Petit, who earned his MBA in finance in the university's J. Mack Robinson College of Business, is chair of the Steering Committee for Georgia State's $300 million Burning Bright fund-raising campaign. He has been a generous supporter of the university over the years, donating $5 million for the construction of the Parker H. Petit Science Center and making gifts to the Robinson College and Athletics. 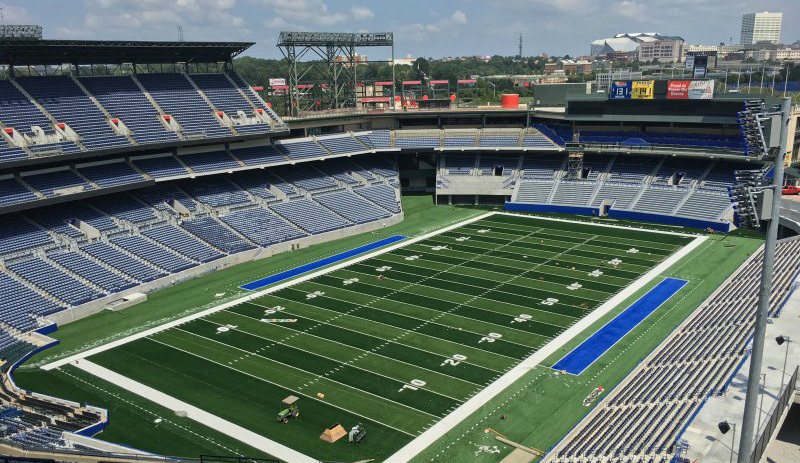 "This field and stadium are just one of the many successes Georgia State has accomplished in a matter of a few years," Petit said. "Georgia State is destined to become one of the most respected urban universities in this country because of this series of successes, which have been a result of its leadership." A visionary healthcare executive, Petit has spent his professional career developing companies from their emerging stages and leading them to maturity and significant stature in their markets. 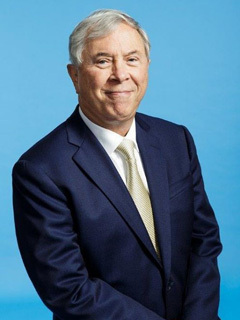 In 1970, he founded Healthdyne, an international manufacturer of advanced healthcare devices and provider of healthcare information systems, technology, services and disease management. Healthdyne went public 1981. After growing Healthdyne annual revenues to about $1 billion, Petit oversaw the core companies' spinout into several publicly traded companies. The last of those companies, Matria Healthcare, was sold to Inverness Medical Innovations in 2008. In early 2009, Petit became the largest shareholder and chairman and chief executive officer of MiMedx Group, which he has guided into one of the fastest growing biopharma companies in the country. Petit has also been a benefactor to Georgia Institute of Technology, where he obtained his bachelor's and master's degrees in engineering. The Biotechnology Building and the Institute for Bioengineering and Bioscience at Georgia Tech carry his name. Petit's achievements have been recognized locally and nationally. He is a member of the National Academy of Engineering, the Technology Hall of Fame of Georgia, the Georgia State Business School Hall of Fame and the Georgia Tech Engineering Hall of Fame. Petit is a member of the Board of Directors of the Georgia Research Alliance, which is chartered by the state of Georgia to promote technology and scientific development in the state. "Pete Petit has been a long-time generous benefactor of Georgia State," said Mark P. Becker, president of Georgia State, "and his impact on our university cannot be overstated. We are extremely proud to name the playing field in Georgia State Stadium in his honor." Georgia State took ownership of the former Turner Field property in January 2017. The conversion and construction into a 22,000-seat football stadium began in February. Future phases of the redevelopment will include a new baseball park and parking facilities on the site. The Georgia State Panthers will kick off at Parker H. Petit Field at Georgia State Stadium at 7 p.m., Aug. 31 vs. Tennessee State University. For more information, visit news.gsu.edu. Click here for more information about this honor. Read the Georgia State University press release about this honor.